This spectacular 30-day adventure in Bhutan begins with the 25-day Snowman trek into one of the country’s most remote valleys. This is probably one of the hardest high altitude treks, but an incredible experience for anyone who takes the challenge. 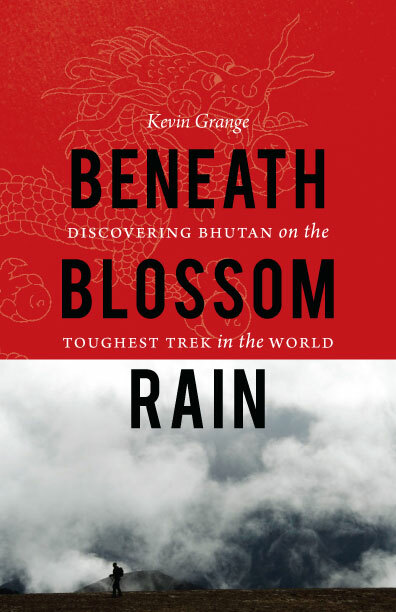 Bhutan’s pristine landscape, wonderful people and fascinating Buddhist culture provide the ingredients for a memorable journey into one of the world’s most remote kingdoms. Travelling into the Lunana district the Snowman trek is so named for the six mountains over 7000 metres (23,100 ft. ) which the trek passes beneath. Crossing nine passes over 4500m (15,850 ft. ) makes this not only one of the highest altitute treks, but also one of the most challenging. Starting in Drukgyel Dzong after a short drive from Paro, we will set out heading directly towards Jhomolhari at 7314m (24,135 ft. ) the third highest peak in Bhutan. Following the Paro Chhu river valley up into the mountains will be a prelude to the magnificent high altitude trekking which follows. Passing Buddhist monasteries and small villages we will witness a land unchanged for hundreds of years. By placing a strong emphasis on preserving its natural and cultural history, Bhutan has an aura of authenticity which engages your heart and mind while trekking. Glide past blue pine, juniper and rhododendron forests, and look for the famous Himalayan blue sheep, bearded vultures and Himalayan griffons flying overhead. After a strenuous but tremendously rewarding 25 days of trekking we will turn our attention to learning more about Bhutan’s cultural heritage and Buddhist traditions as we return by road across the middle of Bhutan, known as the Inner Himalaya, visiting Punakha, and Thimphu, before returning to Paro for our final night. Arrive Paro by Druk Air Airbus 319 jet, the national carrier. The flight offers you beautiful views of mountains on your approach. On arrival and after visa formalities you will be received by our representatives and transferred to your very comfortable hotel. In the afternoon you will have the opportunity to explore Paro town a little and visit Paro Dzong. A Dzong is part fortress, part castle, part monastery and part administration building. Paro Dzong is one of Bhutan’s most impressive and well-known dzongs, and the finest example of Bhutanese architecture we’ll see. The inward-sloping walls form a massive structure that towers over the town and is visible as a great white monolith from vantage points throughout the valley. Paro is at 2280 metres (7500 ft). 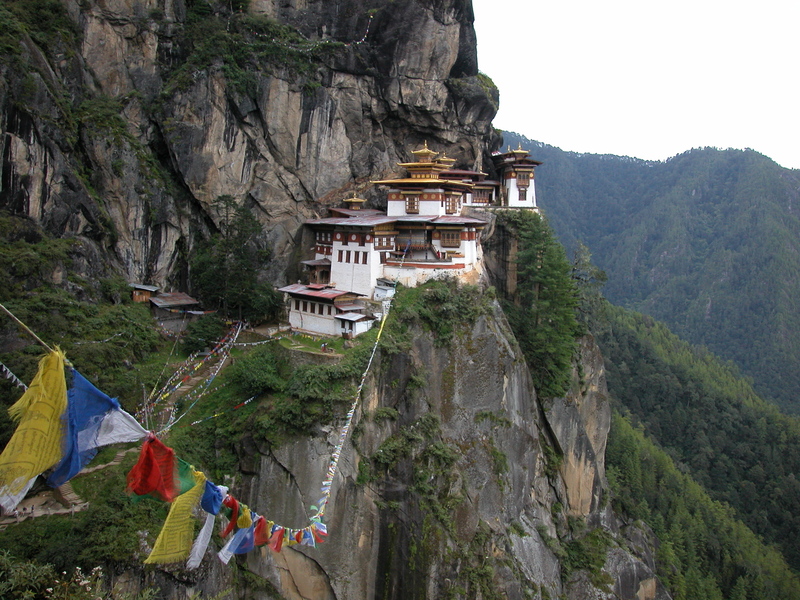 Day hike to Taktsang monastery, the famous “Tiger’s Nest”. Horses can be arranged for about $8 usd. The hike which is all up hill takes about 2-3 hours through a lovely pine forest. The monastery which clings to a huge granite cliff 800 meters above the Paro valley was devastated by fire in 1998, but the Royal Government took immediate steps to restore the monastery to its original structure, and it has been completely rebuilt. It is believed that the Buddhist saint Padmasambhava came in the 7th century on a flying tigress and meditated in a cave for 3 months. The demons were subdued who were trying to stop the spread of Buddhism and converted the Paro valley to Buddhism. During the end of the 17 century, a monastery was built on the spot where the saint meditated and it is a pilgrimage site for every Bhutanese to visit once in their life time. Drive back to hotel. Drive to Drugyel Dzong where the trek used to begin, and continue on up the extended rough road beyond Army Camp to the bridge at Shana. The trek begins here so we're not walking up the new road that is always in flux, and then continues upstream along the Paro Chuu river valley through forest stopping briefly for a packed-lunch en route, gradually ascending to about 3000m/9850ft at Pine camp or a nearby campsite. 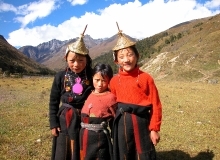 From Pine Camp there is a local hike option to a nearby village with its community school and where we see excellent examples of typical Bhutanese farmhouses. This hike to the village is done when we make good time to the camp as road conditions are unpredictable. Walk is approximately 4 hours depending on road drop-off point. An hour out of camp this morning we leave the tree line and head into the high mountains. At the halfway point of our hike, we cross Tengethang, a winter home of the migratory yak herders. Arriving at Jangothang (4040m / 13,250 ft), we can watch the sun set on Mt. Jhomolhari (7314m) and Mt. Jichu Drake (6989m). The first of our acclimatization days, we have many day-hiking options. The first is a three to four hour excursion up the ridge to the north for great views of Jichu Drake. The second is to hike up towards the head of the valley in the direction of Jhomolhari. The third is a trek up the main valley towards the last house and onward toward Jichu Drake, this gives a great view of where we will be going in the next few days. The final alternative is a fishing expedition to Tshophu, a high-altitude lake about a two hour hike away. Heading uphill from Jangothang we cross the first of many major passes. The Nyile La pass at 4890m (16,135 ft) is about a four hour ascent. Descending the other side we will encounter sparce juniper and rhododendron and pass many yak herder camps. From this area on we start to see herds of blue sheep. Arriving in Lingshi we set up camp at 4150m (13,700 ft). This morning we will visit Lingshi Dzong, also known as Yugyel Dzong in the 17th century, it was used in the past to control travel between Tibet and Bhutan. Since today’s hike will not be as long, the pace will be more relaxed. Upon reaching the camp at Chebisa (3850m / 12,600 ft), we will have time to visit Chebisa village and see a slice of Bhutanese village life. Crossing the Gombu La pass at 4350m (14,300 ft), we descend into a rhododendron filled valley, and continue past some yak herder camps to Shakshepasa where we camp at 3980m (13,100 ft). Sometimes we continue on to a bigger (flatter;) camp 1.5 hours further along the trail to make the next day a little shorter. An early morning start will get us on the way to Jhari La pass at 4747m (15,600 ft). Decending to Tsharijathang, the valley where herds of Takin (the national animal of Bhutan) are normally seen. From here we climb to our camp at Robluthang at 4160m (13,700 ft). Starting early a strenuous hike leads to the Shinge La pass at 5005m (16,650 ft). Descending to Limithang we’ll see Mt. Gangchenta (6840m) and the glacially carved Gangchhenta valley. Gangchhenta means Great Tiger Mountain. We camp at 4140m (13,650 ft). Staying in Laya for the day we will get a chance to see the village with its community school, hospital, archery field and the first shop since the Paro Valley. Laya is a unique village of about 800 people with their own language, customs and distinct dress. The women keep their hair long and wear peculiar conical bamboo hats with a bamboo spike at the top. They wear a lot of silver jewellery on their backs, on many women this display includes an array of teaspoons. The trek leads gradually downhill to the Lunana trail junction, then makes a gradual climb to the camp through a forest of conifers, maple and rhododendron. The trail improves and becomes wider as we climb out of the river valley. We camp at Rodufu near a small stream at 4160m (13,645 ft). It is a long hike, first crossing the Tsimo La pass at 4950m (16,200 ft). Descending to Narethang we pass some dwarf rhododendron and hike in the shadow of Gangla Karchung peak (6395m). We camp at 4900m (16,000 ft). 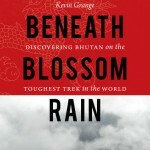 Climb to Karchung La pass at 5240m (17,187 ft) and down to the glacial lakes that are the source of the Tang Chhu river. Above the lakes are the mighty peaks of Jejekangphu Gang (7300m) and Tsenda Kang (7100m). We camp at Tarina, 4020m (13,250 ft). It’s a gradual climb from Woche to the campsite below the pass, and then gets steeper on the section up to the Keche La, at 4580m (15,100 ft), after which it drops steeply to Thega village our usual lunch spot. The afternoon hike continues along a beautiful river valley past spectacular waterfalls to Lhedi village where we camp at 3600m (11,800 ft). Sometimes we continue on about an hour or so beyond Lhedi village to a lovely campsite. The trail climbs gradually following the main source of the Pho Chhu to Chozo village. At the small Chozo Dzong there are some lay monks. Above Chozo the valley opens as we approach Thanza village near the foot of 7100m Zogophu Gamp, which is also know as Table Mountain. We camp at Thanza, 4080m (13,300 ft). This day is a fantastic opportunity to interact with the hospitable local villagers, and explore the beautiful surrounding area, our farthest point in the Lunana valley. Alternatively you can relax around camp and rest up for some of the tough days ahead. As Thanza is sometimes a transfer point for horses and yaks, it is sometimes necessary to have a day here for our staff to ensure all the necessary yaks are rounded up by the local herders who do not operate on 'Western time'! Please note: Assuming everyone in the trekking party has acclimatized properly up to this point, and our horse/yak logistics are smoothly in place, we may only spend the morning in Thanza, and leave for our campsite up the valley at Danji in the afternoon in order to save the rest day in case it is required later in the trek due to altitude or weather-related concerns while crossing the Rinchen Zoe pass out of Lunana. Today is a relatively short, although somewhat steep, climb to a campsite called Danji, part way up to the Jaze la pass. It will allow us to have some extra time in the morning and make a later start. 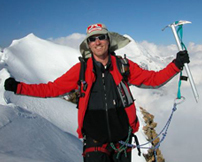 The camp is around 4600m/15,000ft, with spectacular views of snow-capped peaks! It is an important acclimatization spot. We start with a hard climb to Rinchen Zoe La pass at 5290m (17,350 ft), the highest on the trek. It is then all downhill to Chukarpo, which is just above the tree line at 4950m (16335 ft). It is a long mostly downhill walk along the river, followed by a climb up to the Um So lake at 4230m (13,950 ft). In this lake Pema Lingpa found a number of religious treasures. Continuing downhill we camp by the lake of Thampe Tso at 4200m (13,860 ft). It is a short walk to the base of Thampe La and a steep climb to the pass at 4580m (15,100 ft). The trek is then all downhill through rhododendron bushes to the yak pasture of Maurothang where we camp at 3550m (11,640 ft). On our final day of trekking we descend through a beautiful valley to the lovely village of Sephu where the new road-head beyond Nikachu Chazam continues to push up the valley to the upper part of the village. From there, if time permits, we will drive east to Trongsa. This beautiful Dzong is the centre of the region of Bhutan called "Bumthang". The Trongsa Dzong is one of the most impressive in the kingdom, and can be seen from a great distance in its strategic position high above the Mangde Chhu river. In the late-afternoon/early evening, we have a spectacular 3-hour drive back west across the mountains to Punakha. We stop along the way at Chendebji to visit the Chendebji Chorten, patterned after Swayambhunath in Kathmandu and built in the 19th century by Lama Shida from Tibet. We also stop at the top of the Pele La pass (3400m). Overnight in Punakha at a very comfortable hotel. We will have time in the morning to see Punakha Dzong (the second of Bhutan's dzongs to be built) which for many years served as the seat of government. The dzong was first built in 1637 and is still one of the largest in Bhutan. We will drive to Thimphu in the morning (about 2 hours) and have the afternoon to visit Thimphu, the capital of Bhutan. We will visit the Trashi Chhoe Dzong, built as the symbol of the capital and then explore the shops along Norzin Lam, Thimphu's main street. The morning is free to do some more sightseeing or shopping around Thimphu. In the afternoon we take a 2 hour drive through the lovely central foothills to Paro where we will overnight in a comfortable hotel. Waking up in Paro, we’ll have time for one last walk through town before saying our goodbyes and heading to the airport for the Druk Air flight out of Bhutan. PLEASE NOTE: On adventure trips of this type, weather, local politics, transport or a multitude of other factors beyond our control can result in a change of itinerary. It is, however, very unlikely that the itinerary would be substantially altered; if alterations are necessary, the leader will decide what is the best alternative taking into consideration the best interests of the whole group. Where a change does occur, we do everything we can to minimize its effect, but we cannot be responsible for the results of changes or delays. You will fly in from Bangkok on Druk Air on Day 1 and fly back to Bangkok on Day 30.
International Airfare: Apx. $1900 USD from most cities.